I am so excited to run home tonight. One of my favorite shows is back on television and I couldn’t be more excited. I’m ready to get a big glass of wine and a big bowl of popcorn and OMG over and over for the whole hour. If you watch Scandal, you will totally get the wine and popcorn thing. If you do not watch Scandal, you should hop over to Netflix right now and binge watch the first three seasons. Seriously, it’s totally addicting and will become one of your new favorite shows, hands down. I think every girl either wants to be or be friends with miss Olivia Pope. Are you a fan of Scandal? What’s your favorite t.v. show of the moment? I've never watched Scandal but my best friend is absolutely obsessed with it! I'm right there with you on this one! Great show! 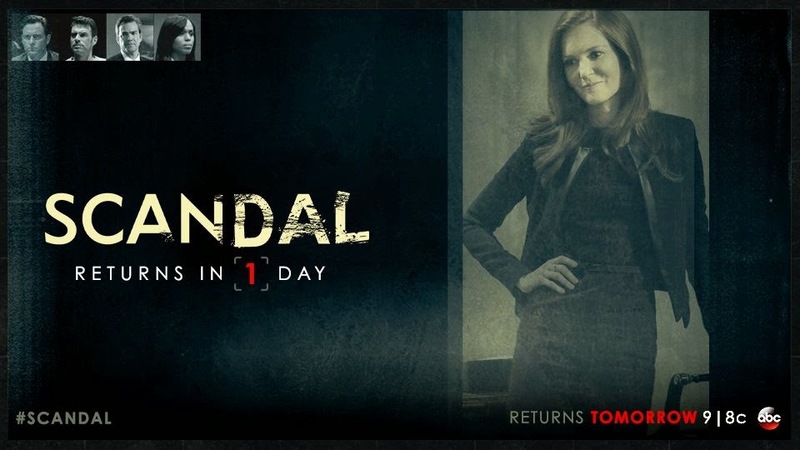 I love Scandal and will be watching it tomorrow so I don't have to deal with commercials. All my co-workers were talking about this today. I have never watched it, but everyone seems to love it. i'm not all caught up on it.. but it does get addicting! I've never heard of this programme before! Maybe I'll add it to my watch list! I haven't given scandal a try yet. It must be good, I have had many people recommend it.